An example of a Promoted Pin on Pinterest. Raise awareness by introducing your brand to a specific, affluent demographic. Pinterest notes that Pinners actively go online or in-app to discover items that they may need and/or want in the future, and users tend to save Promoted Pins to their own boards (e.g., Pinterest notes an average 5-percent bump in earned impressions 30 days after the end of a campaign) meaning that you will, in theory, receive impressions long after one of your campaigns is over. Pinterest is a site built on inspiration so it is a good idea to put your best product-foot forward by sharing beautiful imagery. If you do not take the time to put your product(s) in the best-possible photographic light, you are potentially doing your brand a disservice. Pinterest’s website format is one of a continuous scroll so the possibility exists that your product will be forgotten with a few scrolls of a finger or a mouse. Buyable Pins let people buy items without ever leaving the Pinterest app. Pins with a price in blue typeface are for sale and you have the ability to buy that item in-app. Pinterest also allows users to search as well as swipe through different product options, all within its app. Pinterest does not take a cut from your sales and you still get to handle shipping and customer service the way you always have. An example of a Buyable Pin on Pinterest. According to an article posted in Total Retail Magazine, there are benefits and potential drawbacks to Buyable Pins and they are summarized in the following section. 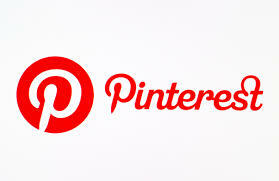 Even without Buyable Pins, 87 percent of Pinterest’s users are already purchasing items that they find on the site. Buyable Pins also provide ease-of-use for consumers. And you can tie separate discount codes or special offers to Buyable Pins. Your existing and potential customers can only purchase one item at a time on Pinterest. Also, Pinterest allows for one image per pin, so narrowing down your product images may be tricky. At this time, Buyable Pins are by wait-list only. Creative imagery plays a large role in driving click-through rates (CTR) on Pinterest, driving impression volume and, in-turn, pay-per-click (PPC) rates. On that note, feature images that readers will connect with emotionally so that your audience will share, and make certain that you add relevant keywords. One of the most important aspects of successfully managing a Pinterest advertising campaign is keyword optimization. Per Pinterest guidelines, you may associate approximately 150 keywords with each promoted pin so develop and implement a comprehensive keyword strategy. Successfully running a Promoted Pin campaign means understanding your primary and secondary audiences. Once you determine your audience(s), create campaigns to match the tastes of your respective audiences to show people what they want to see; Pinterest searchers are already motivated and inspired so proactively engage with them. Once a campaign is on Pinterest, it lives there forever like a permanent billboard. With the Promoted Pins PPC model, you only pay when people click through to your website.